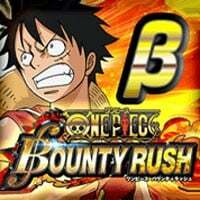 One Piece: Bounty Rush is an application developed by Bandai Namco. The production for the AND and iOS platform is based on the manga One Piece by Eiichiro Oda. It tells the story of Captain Monkey D. Luffy, the leader of the Straw Hat crew, who is trying to become the most famous pirate. The game treats the original story quite loosely, because it is a production intended for multiplayer, in which we just fight for loot. One Piece: Bounty Rush the simplest way to describe it as a network brawl. There are two teams of four players each. The game takes place in real time, so team members have to show agility and good mastery of characters and combinations of blows during the game. However, cooperation is not insignificant. Developers prepared several classes of characters with different skills. Fighter is fast and quite strong, Warrior slower but tougher, Supporter is of course a support character, Shooter specializes in distance attacks, and Swordsman fights using a white weapon. The skirmishes are played on quite large arenas, where there are various obstacles, such as wooden barricades, barrels, etc. The skirmishes are also played on large arenas, in which there are various obstacles, e.g. wooden barricades, barrels, etc. You can use them to your advantage, hiding from enemy arrows, for example. One Piece: Bounty Rush The AND and iOS version is distributed in a free-to-play business model. Bandai Namco makes money from micropayments that speed up the progress of the game.